This post attempts to summarise a Twitter thread about how to encourage student questions which went viral in August 2018. 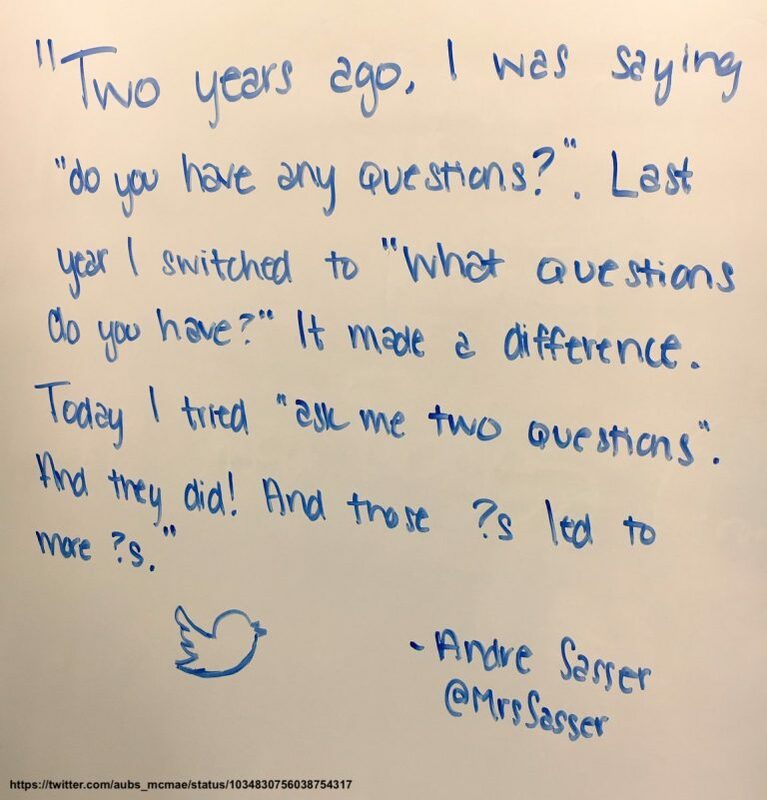 @MrsSasser ’s initial post explained how apparently small changes in the way she asked students if they had any questions had a massive impact on the number of questions that they asked. ...continue reading "Helping students to ask questions"
Back in January 2012, the now-departed education secretary Michael Gove said, “ICT in schools is a mess”. He went on to argue that what was needed was a rigorous computer science curriculum. Now, from September 2014, when the new national curriculum ...continue reading "Gove departs just as disaster looms for computing in schools"
Author PeterTPublished on 12 Sep 2018 8 Oct 2018 Leave a comment on What is school for? This is a critical question (both in the sense of being important and in the sense of implying criticism of our current school system). Prince Ea asks this question in a YouTube video ...continue reading "What is school for?" Published on 12 Sep 2018 8 Oct 2018 Author PeterTCategories Opinion, PolicyTags accountability, assessment, mission, parents, policy, Prince Ea, provocation, purpose, school, strategy, students, teachers, video, visionLeave a comment on What is school for?